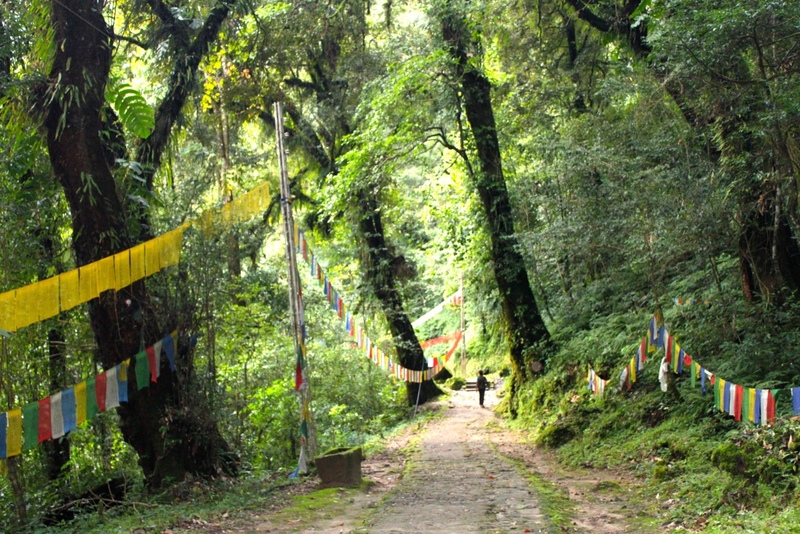 Mountain Biking in Eastern Himalaya, especially Darjeeling - Sikkim sector is one of the most popular routes in India. An introductory rides which takes you to explore the ancient rural villages, monasteries with the superb view of the Himalayas. Biking through the rural villages at the valley rim on the back trails with some ups and downhill tracks, these days biking trips give you sufficient time to immerse in its peaceful surrounding environment and make friends with the locals. 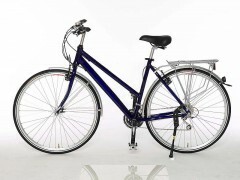 The itinerary allows for average daily distances of approximately between 30 to 40 kilometers each day. Instead of giving a certain number of kilometers each day, we mention total distances between the destinations and leave the choice of cycling distances to our guests, the supporting vehicle will always be there at your service. En-route we will have bottled water and juices after every 15 to 20 kms available in the supporting vehicle, which will always follow the cyclists. . If at any point riding seems a little hard, the supporting vehicle takes you for as long or as little as you wish it to. In the Morning you will proceed on a city tour “ The secrets of Kolkata” visiting the Victoria Memorial, Howrah Bridge, Mother Teressa House, Kali Temple and Botanical Gardens. The garden was founded in 1787 by the East India Company and was formerly known as the Royal Botanical Garden. 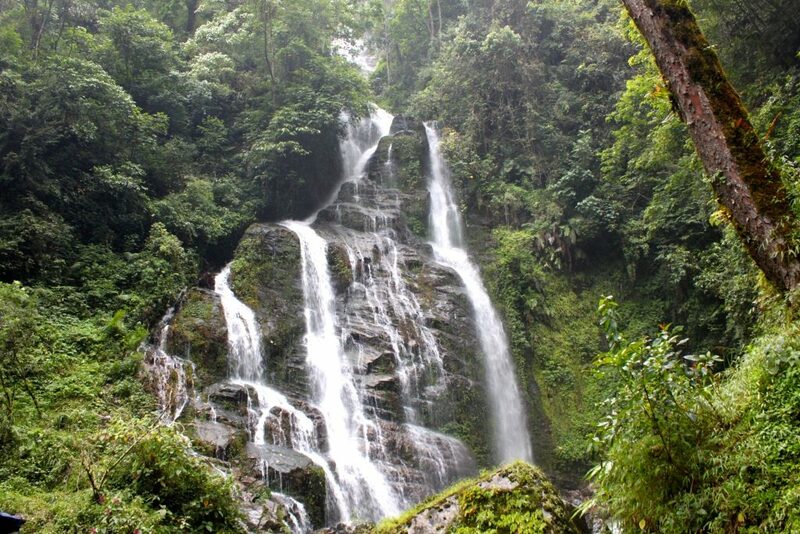 It is famous for its huge collection of bamboos, orchids, palms and the plants of screw pine genus. Buffet breakfast at hotel and proceed to domestic Airport to connect flight to Baghdogra. Upon arrival at Baghdogra airport our representative will receive and transfer to Siliguri for Overnight stay. 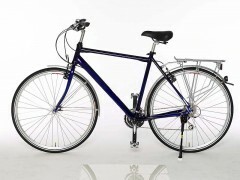 We’ll have time to put our bikes together and to take them for a test ride in readiness for tomorrow’s ride. We’ll meet in the evening for a local meal and an introduction to the tour. The first day of riding will start with transfer out of the busy city of Siliguri. The main highway will be followed out in the countryside to a point where a smaller back road leads towards Bangladesh. This is the actual starting point of the tour. 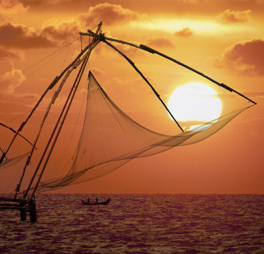 We will be heading through a landscape of jute fields and rice paddies farmed by ox-drawn carts. At one point of the ride you will see fence at night which is Bangladesh border, the neighbour of India can be experienced. Now we have plan to ride flat 55kms. Some of the sections are busy near towns but generally this will be a glorious riding. Upon reaching Koch Bihar we will take support vehicles driving into busy city. An stunning palace is the glory of Koch Bihar. When you see that traffic in Koch Bihar you'll understand why we transfer out of town before starting the ride. But once on the bike we are again on beautiful back roads through farming community and small towns. Today we enter tea territory, which will be your constant companion through the journey. Overnight stay in Chalsa. It's time to take on the Himalaya. After a few days of seeing the imposing mountains in the distance, today is your chance to ride high up in the clean mountain. Starting at an elevation of 200m we will finish the day at 2000m - the highest. 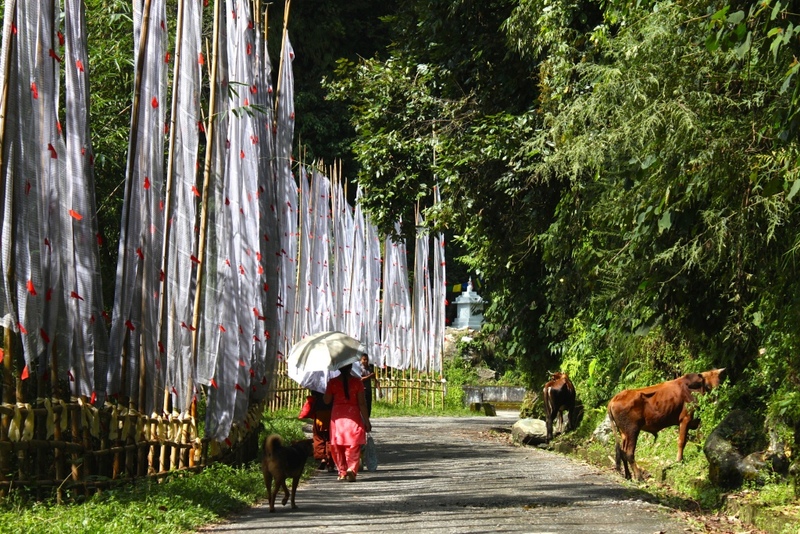 We start off with a gentle ride along laneways through a tea plantation. From about the 20km mark it is climbing for the remainder of the day - take you time as we have all day! Following a beautiful valley uphill the road eventually bends away from the river and seemingly climbs up the side of the mountain. 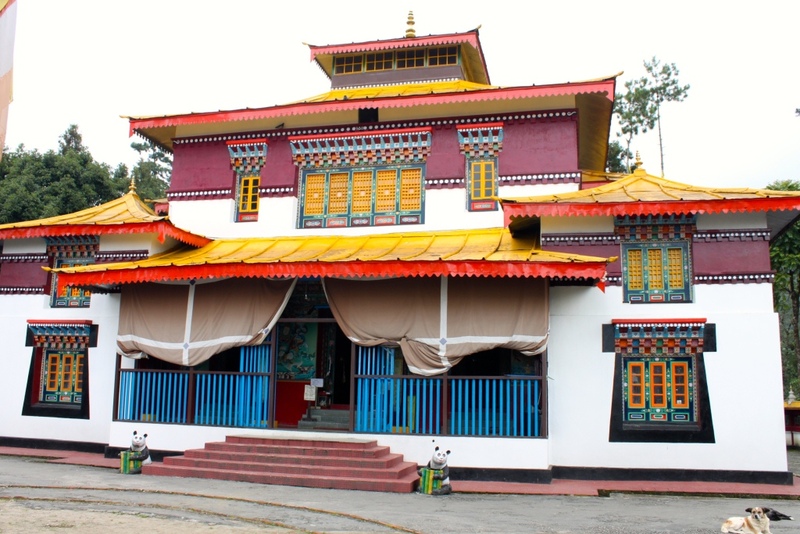 Lava, a pretty mist-wreathed village is on the old trade route to Bhutan and is surrounded by virgin pine forest. The view of Chola Range from here is breathing lava offers some nice walks for nature lovers. Relatively compared to yesterday it is a easy day which tends downhill. There are mountains and we have to start small climbing of the town. 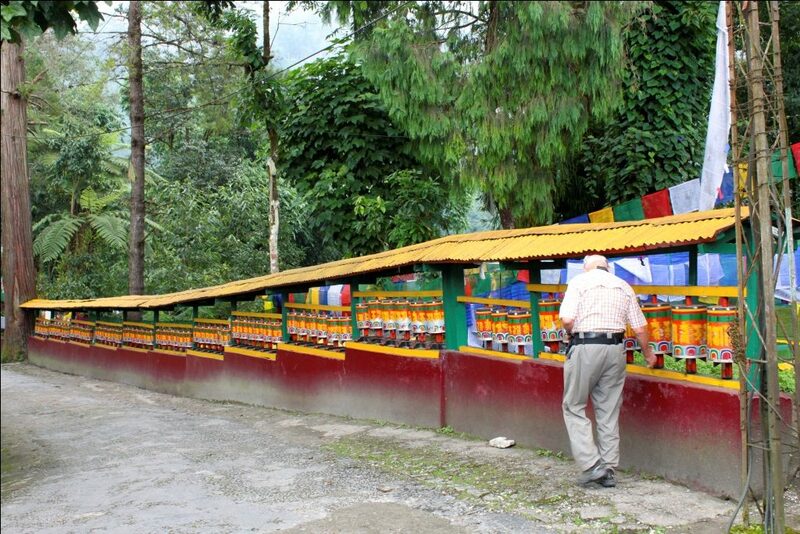 After climbing alongside the route we will see many shops, temples and villages and can enjoy the natural beauties. 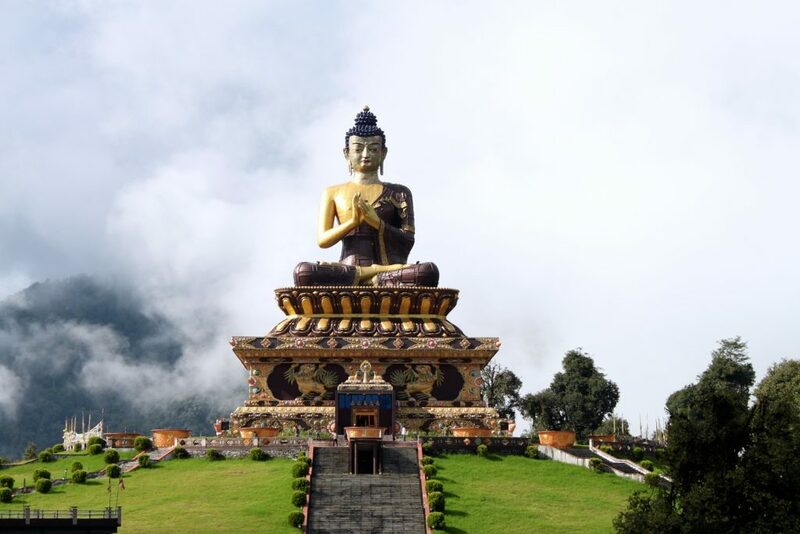 Kalimpong is nestled in the mid-ranges of the himalayas a remote hill station that has long been an important meeting point on the trade route to Tibet, Bhutan and Nepal. The original name meant the stronghold (pong) of the King’s minister (Kalim), However today it is a bustling and ever expanding bazaar town, the perfact place to do some shopping! You are likely to find all kinds of curious and treasures in the market place, beautiful Thankas, Chineese Lamps and silver jewelry etc. 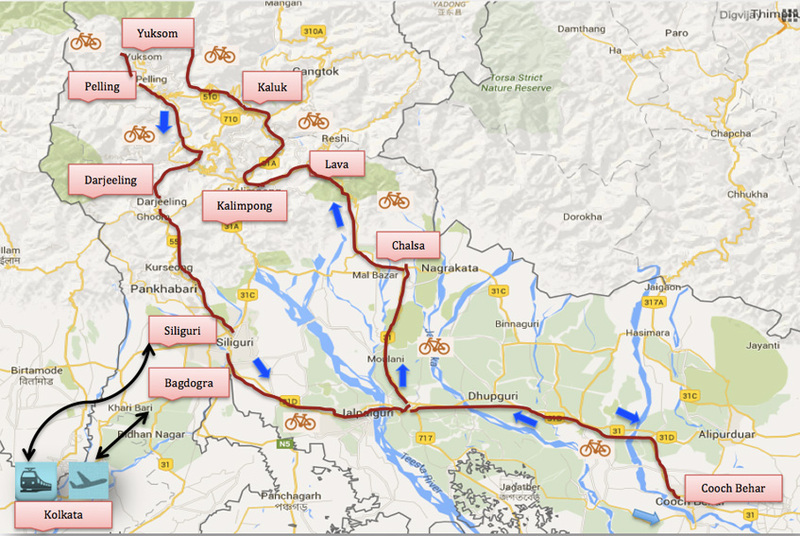 Today’s ride is very extreme with start from Kalimpong to Kaluk, which is quite long and steep. Some rides will be covered by vehicles. The ride is spectacular and one cannot forget this ride because of hard work. 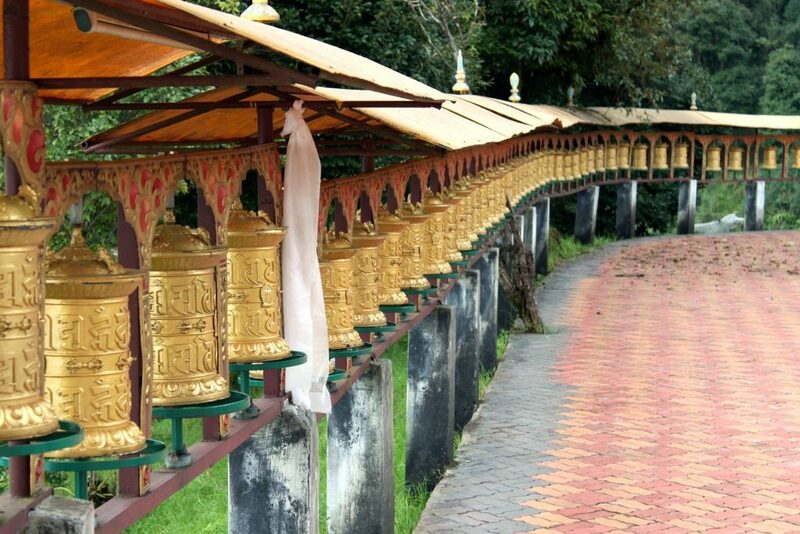 Although Kaluk is not a big town but it has comfortable hotels and one can have great Himalayan visit. The 50 km to Yuksam is a touch easier but as always around here there are some big descents and climbs with most of the ride way up in the imposing mountains. 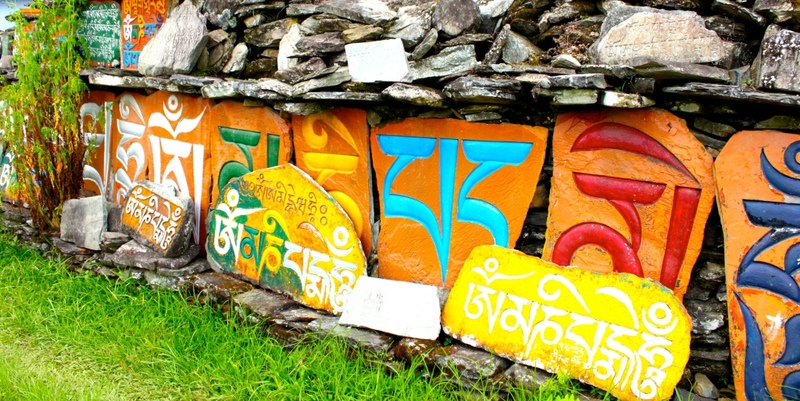 Yuksom is the end of the road and the start of high altitude treks. The bike‐support vehicle will always travel behind the last cyclist. If you wish to take a break from riding, simply wait at the side of the road in an appropriate place to stop and you will be picked up. After relaxing from bike riding we can take significant environs of this village. 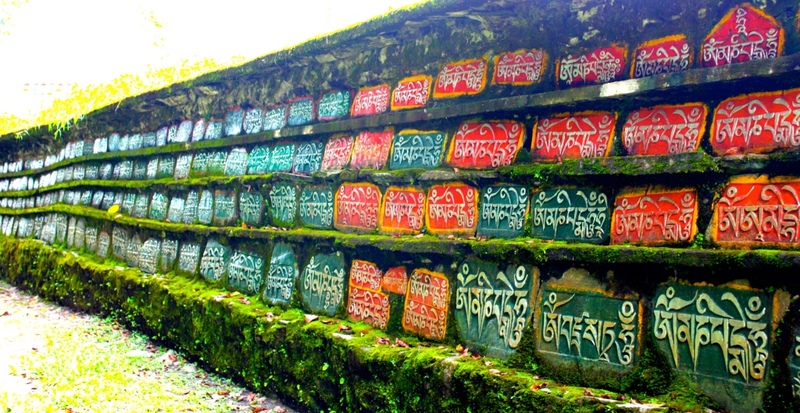 If required take a village walk or trek up to Dubdi Monastery, the oldest monastery of Sikkim. This can be reached in one hour’s steep climbing from the village. After the challenges of yesterday you might think that today will be easy, but think that just because it is only 35km that you'll find it easy. We take steep climb to the Khecheopari holy lake. The road is not well made and yes, there is a big to climb up! The last 15km rise nearly 700m. 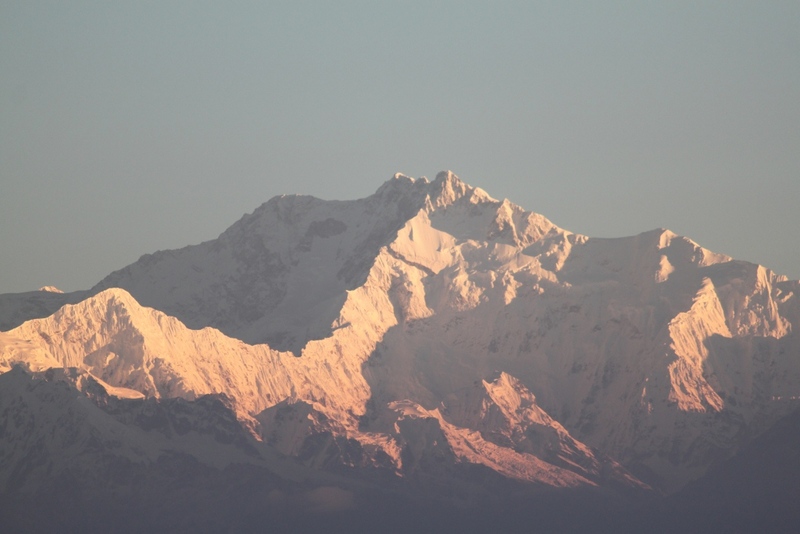 The view of the marvelous mountain range of Kanchenjunga from pelling. It is one of the oldest monasteries in Sikkim and is replete with ancient relics, wall murals and sculptures. The last big riding day is fairly easy on the legs ow-lying town of Jorethang (about 500 m) 55 Kms ride. Lunch at Jorethang and from here we take a our shuttle to reach Darjeeling and check into the Hotel. 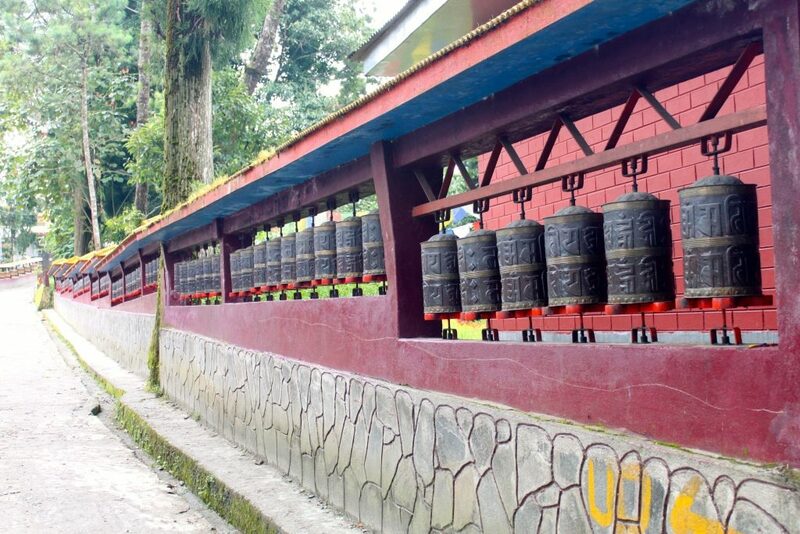 A veritable tourist spot, Darjeeling is an important tourist destination. The town is also known for its famous tea gardensit really is that picture-perfect, with its terraced tea plantations. You can venture into the tea gardens, experiencing the busy life of the estate workers there. You may witness workers plucking the tea leaves in the fields and carrying large buckets on their back, working hard throughout the day. Early morning (04.00 am) drive to Tiger Hill to see spectacular sunrise over Mountain Khangchendzongha (28028 ft) which is 3rd highest peak in the world. 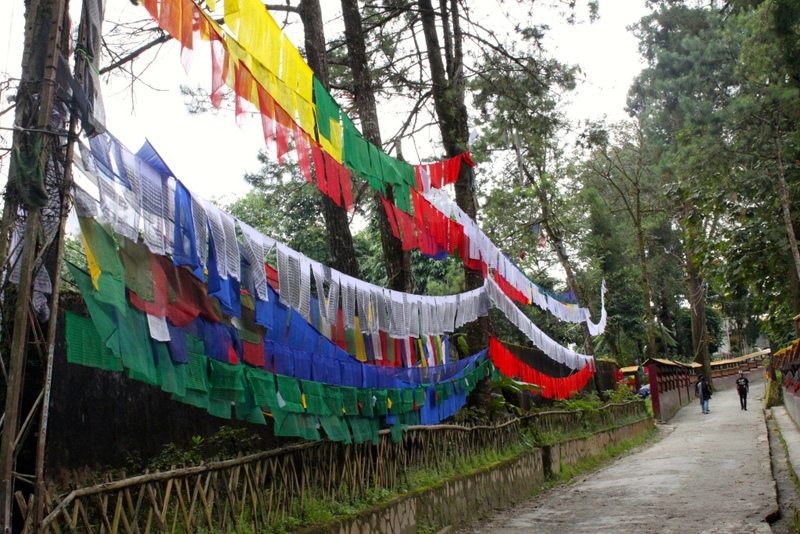 Visit Ghoom Monastery and Batasia Loop on the way back. After breakfast visit Himalayan Mountaineering Institute, P.N. 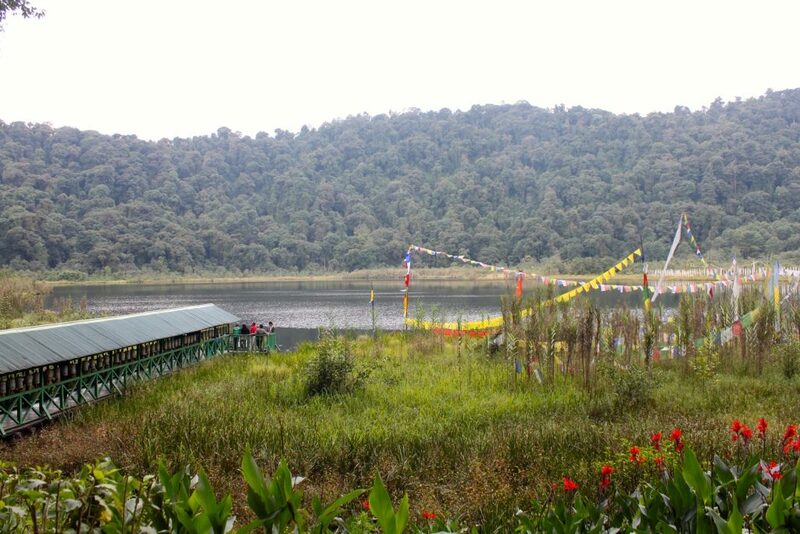 Zooligical Park (closed on Thursday), Tibetan Refugee self-service Centre (closed on Sunday), outer view of tea garden and Toy train ride. Evening is free for shopping and leisure. 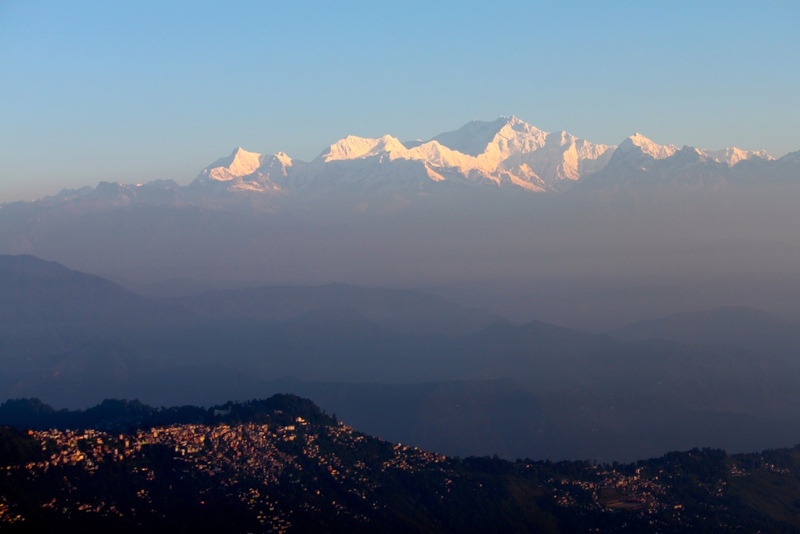 Overnight stay at Darjeeling. On time pick up from hotel and drive 90 Kms to Bagdogra Airport to board the flight for Kolkata. On arrival at Kolkata Airport and transfer to hotel. On time our representative will pick you from the hotel and transfer to Airport to board the flight for onwards destination.